Experience award-winning cuisine in casual elegance. Tues-Fri, 11:30am-2pm & 4-9pm; Sat, 4-10pm; Sun, 10am-2pm (brunch) & 4-8pm. 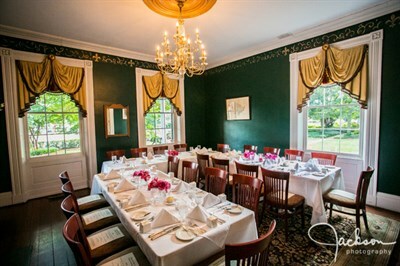 It's a colonial atmosphere that will take you back to the times when dining was an event. Food and wine are delicious. Service is fantastic. Scenery is beautiful. Highly recommend.